Learning to escape the parental voice in Recovery.The Ten Stages Many victims of emotional abuse don’t even know they are still being abused beaten up emotionally. The effects of verbal abuse can persist even long after the abuse has ended. 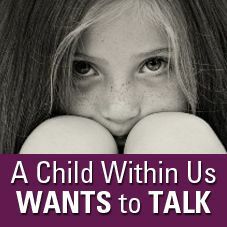 Histories of parental voice abuse and neglect are associated with increased anxiety, depression, post-traumatic stress and physical symptoms, as well as lifetime childhood trauma exposure.